Harpastum (or Haprustum) was a popular ball game played in the Roman Empire. It was also referred to as the small ball game. While historians were unsure about the word etymology, it was said to possibly derive from the word “harpago” which means “an iron-grabbing tool with fingers”. Another possible origin is from the Greek word “harpazein” which means “to grab”. 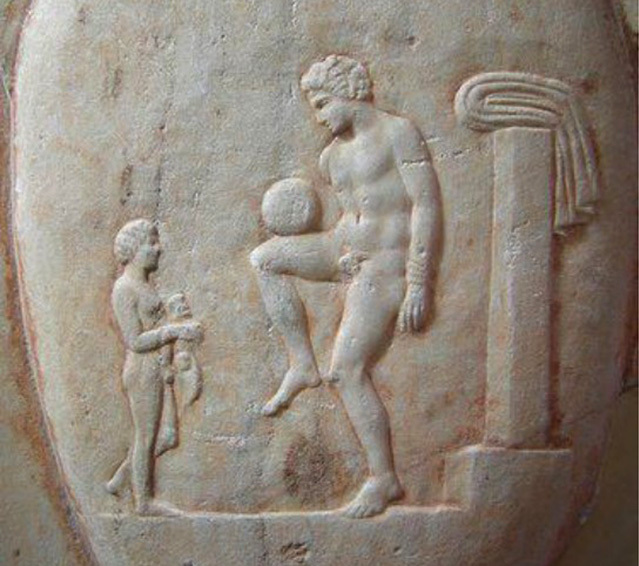 The ball the Romans used was hard and small ball, smaller soccer-sized balls. It was quite similar to the size and solidity of a regular softball. The game was said to be a Roman version of the Greek game called “phaininda” or the other Greek game called ”episkyros”. The sport involved physical exertion, speed and agility. Historians don’t have much knowledge on what the exact rules were, but there had been sources indicating that at some point the game became violent that some players fall down on the ground often, while in Greece, a spectator had his leg broken when he was caught in the middle of a game. From the writings obtained about Harpastum by ancient writers, the general idea of how they describe the game is similar to rugby. Other descriptions included a “line was drawn in the dirt” and teams would make an effort to keep the ball behind their side of the line and stop the opposing team from snatching it. It was said to be an “inverted” form of football. The teams consisted of not more than 12 members. The field consisted of boundary sidelines and was split into two. Both teams are on their respective areas, which were the two divided areas of the field. It was all about tackling the opposing member who had the ball (associations with rugby), then steal the ball away bringing it to their own side to obtain a score. While there is no surviving evidence of how the game completely works, no one is sure how the game starts. Some say they started it with a coin toss. The game ends, an idea with no official evidence as well, was when the team reached 21 points.